Germany’s second largest bank is ahead of plan on cutting down its big pile of non-core assets, and it beat modest net profit forecasts. The market responded ecstatically. But any expectations that strong returns, or a bid, are imminent are unlikely to be realised. A media representative operates a TV camera during Germany's Commerzbank annual shareholder's meeting in Frankfurt, April 19, 2013. 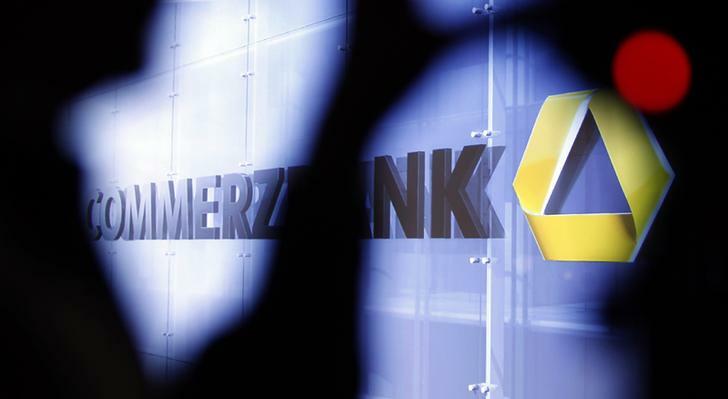 Commerzbank announced third quarter net profit on Nov. 7 of 77 million euros, over twice analysts’ forecasts, and marginally ahead of net profit in the same period of 2012. Germany’s second largest lender said that revenues in its core bank were 2.2 billion euros, slightly down from 2.4 billion euros in the third quarter of 2012. Costs were below 1.7 billion euros for the second quarter running. Commerz also announced that it had reached its target to reduce its non-core assets portfolio to 125 billion euros three months early. The bank’s fully-loaded Basel III capital ratio is 8.6 percent, while its fully loaded leverage ratio is 3.2 percent.